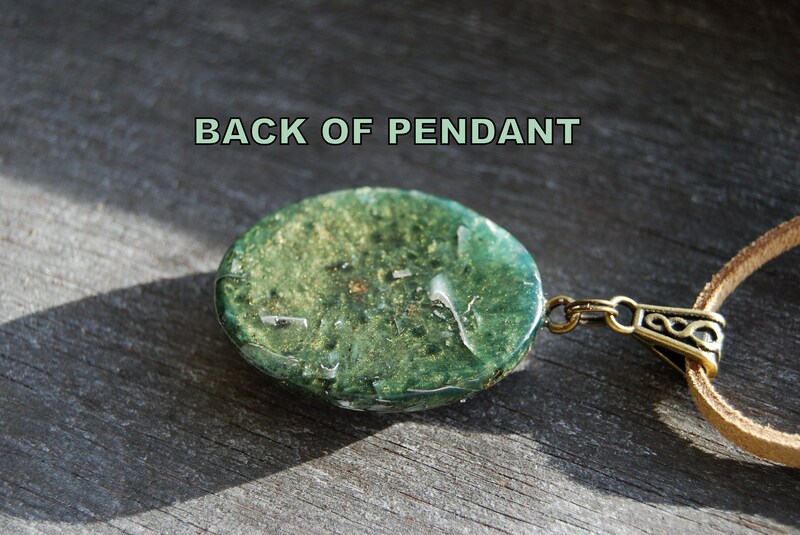 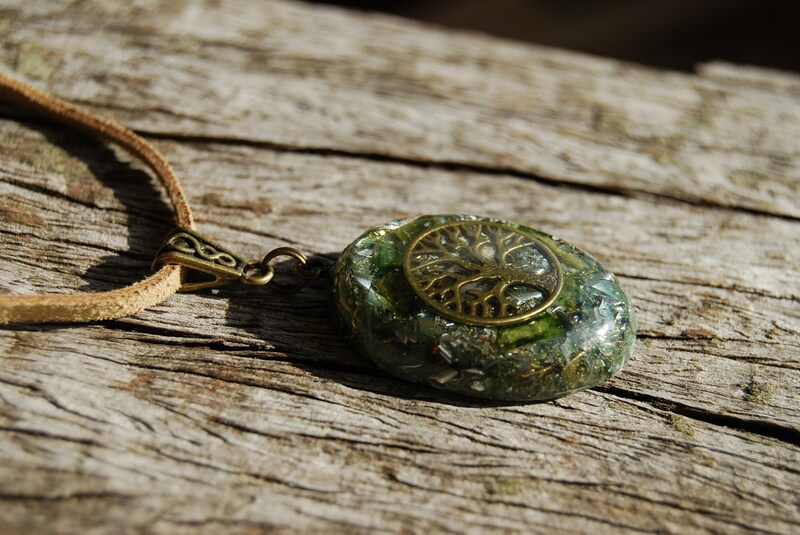 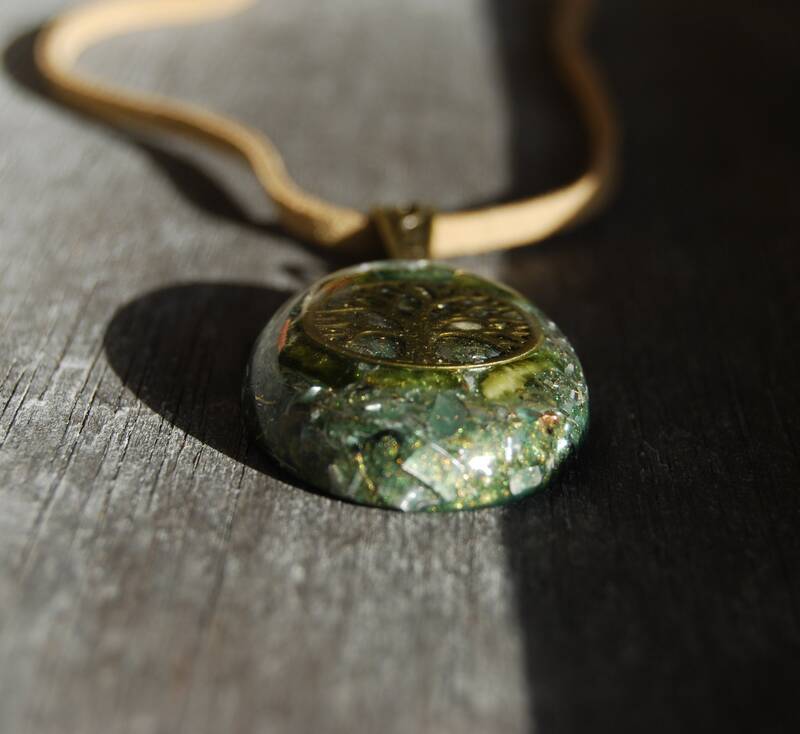 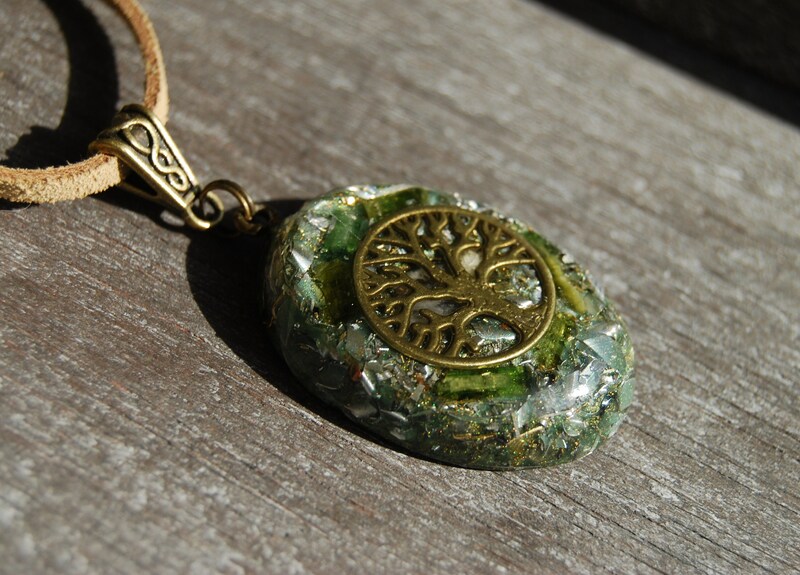 This unique Orgonite® pendant contains aluminium,bronze, aluminium, brass and copper shavings, 6 raw green Tourmaline crystals in the front, Rhodizite (to amplify the other crystals), Pyrite (to enhance), black Tourmaline (front- to ground excess energy and for protection), Selenite (to clean and charge the other crystals) and clear quartz (for piezo electric effect) in a durable resin setting. 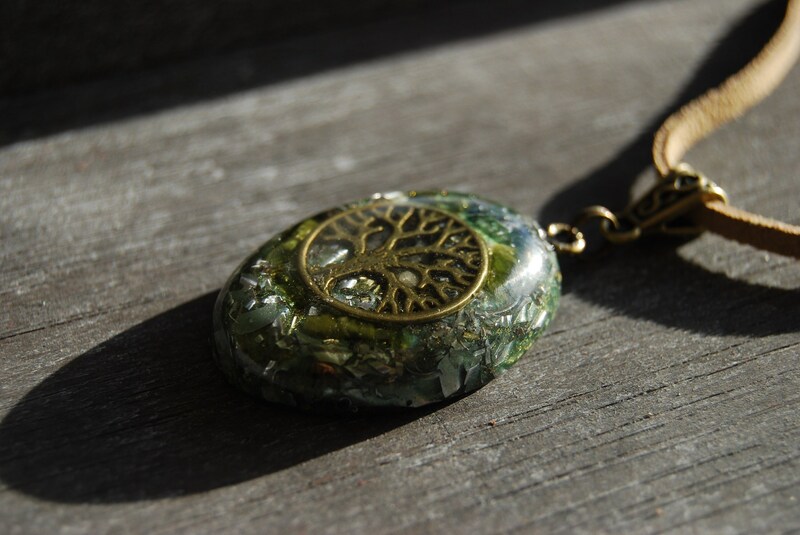 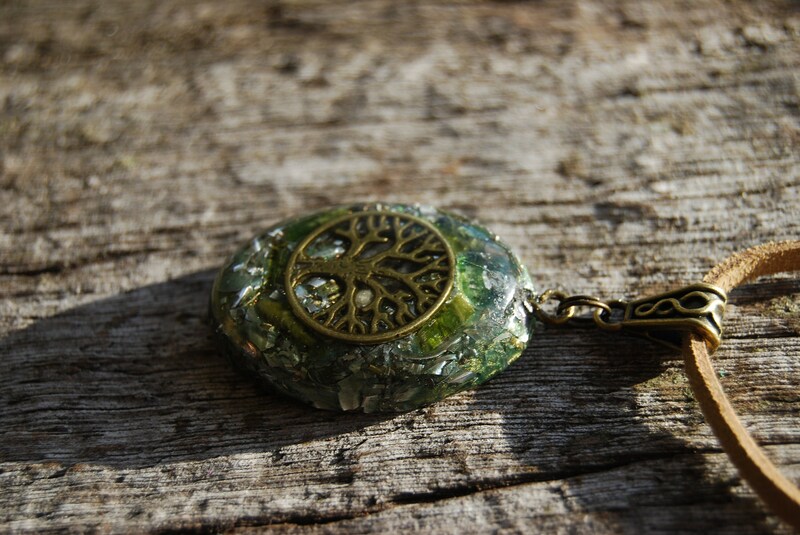 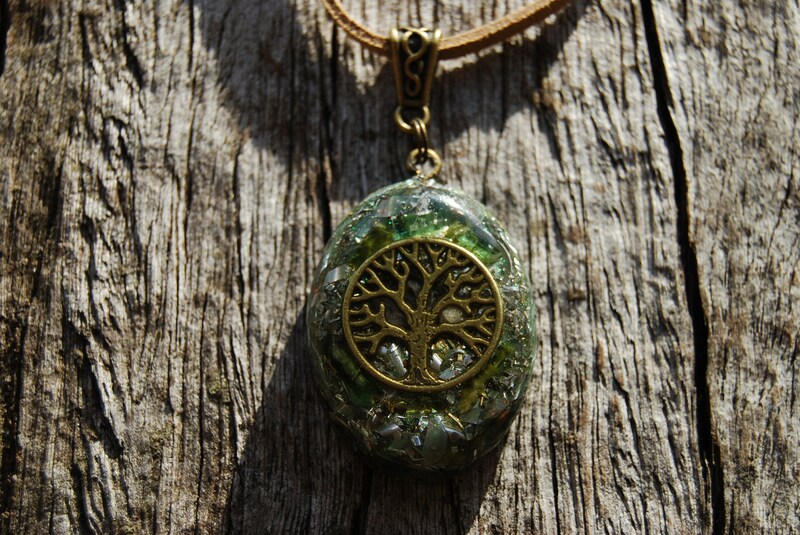 It has a lovely metal Tree of Life symbol in the front. 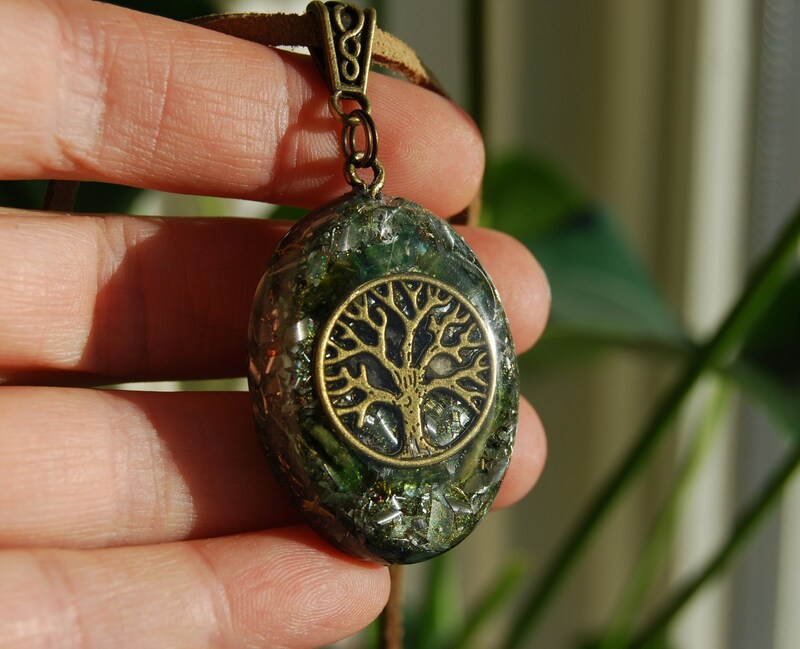 The tree of life is a mystical and magical tree well known throughout many cultures The tree of life connects the ground and our physical existence to the skies and the heavens. 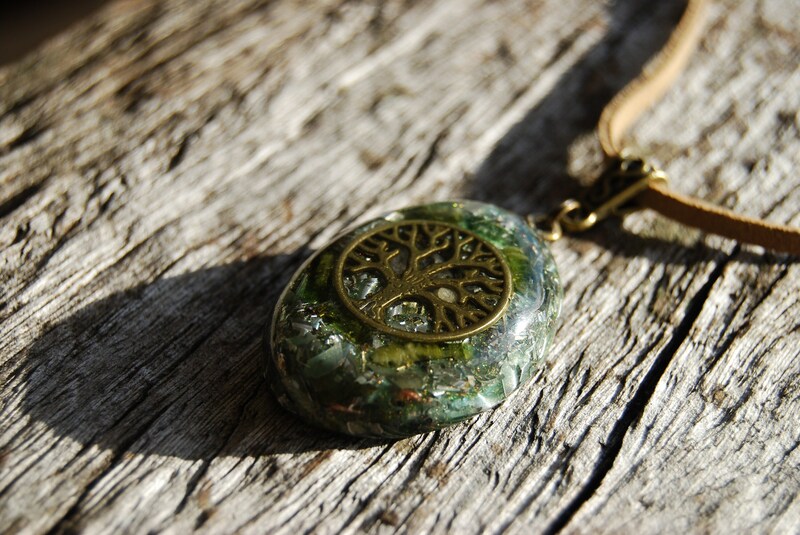 It unites all forms of life to mother earth and the universe. 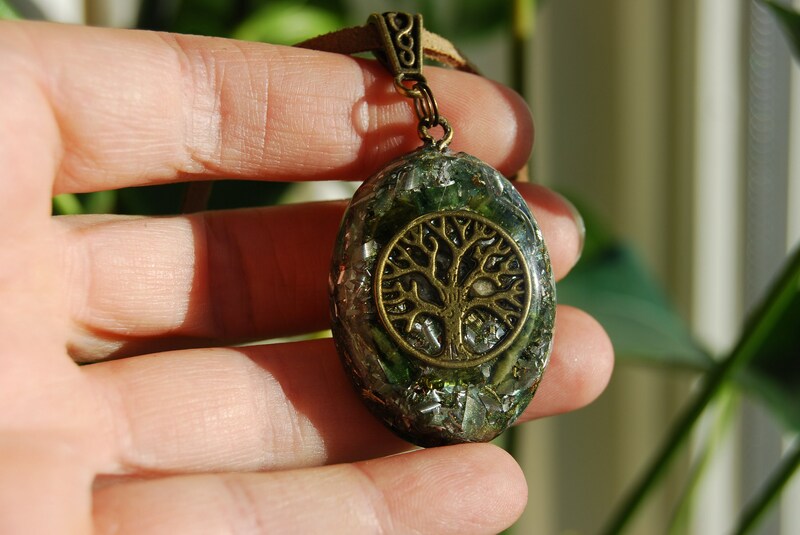 The Tree of Life is recognized in all cultures as a symbol of immortality and eternal life.